Combining unrivalled customer satisfaction with unmatched technical support, our customer-focused approach enables us to develop solutions of unprecedented precision for our customers’ needs. Across all of our people, in all of our businesses, on all continents on which we operate, Elta Group has one purpose: To enhance life through air. For 20 years we have been a proudly independent, family-owned group, but our foundations were laid over 45 years ago. Our foundations were built on an entrepreneurial spirit and a clear vision of meeting market needs and improving air quality. These have seen us become a leader in high-integrity solutions that move, filter, treat and distribute air, from agriculture to building services to applied technology. We’re never standing still, always living and breathing our cause, and looking to the horizon. 1972 Roger Crook and John Snape begin by producing single-phase, long-case, axial fans for commercial ovens under the company name of ‘Low Temperature Applications’. 1974 Occupying just 70m², the company’s first production facility in Woking, Surrey, UK, is set up, allowing the product range to be extended into three-phase fans up to 1.2m in diameter. 1979 Rapid expansion sees the company move into a new 500m² factory in Byfleet, Surrey. This expansion enables the company to establish its first dedicated design and engineering team. 1982 The premises are expanded to 800m² to keep pace with production requirements; sub-contracted sheet metal work is brought in-house. 1984 Following intensive development and investment, Elta Fans’ first axial impeller is launched, providing Elta Fans with the ability to fully-manufacture a highly-competitive, axial fan unit. The product is shipped around the world, including to South Africa, Australia and the USA. 1986 Elta Fans becomes the only manufacturer in the UK to achieve full certification of its range to the new BS 848 pt 1 (airflow) and pt 2 (noise) tests. 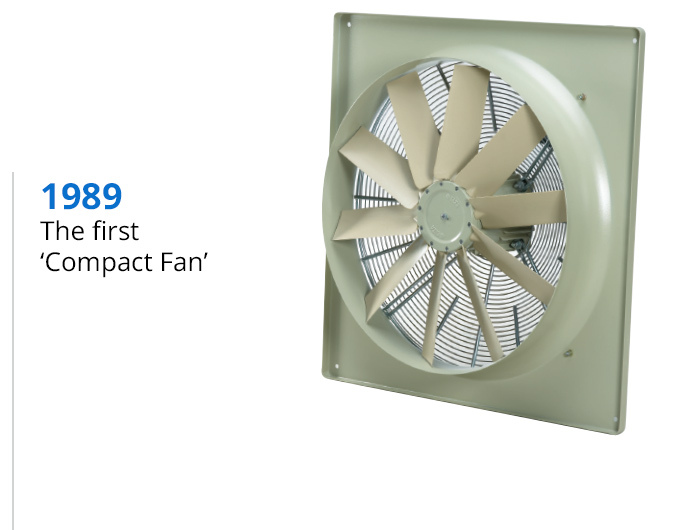 1989 The first ‘Compact Fan’ range is launched, utilising the Brook Crompton ‘V’ Range motor and Elta Fans’ own standard glass-reinforced plastic impeller. 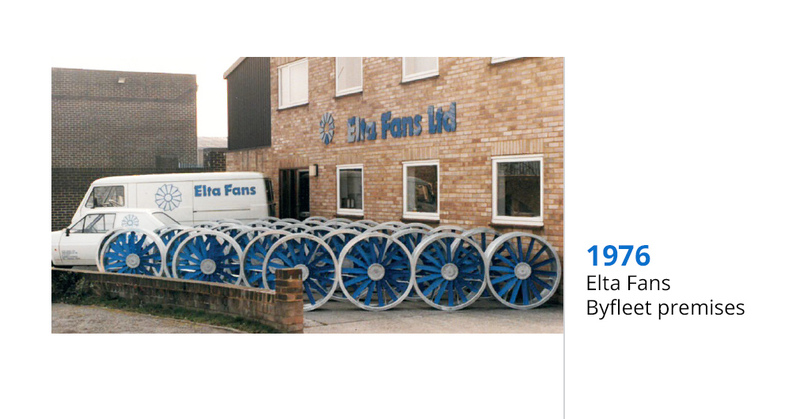 1991 The ongoing growth of the business allows Elta Fans to relocate to a custom-built, 1,200m² manufacturing and office premises in Fareham, Hampshire, UK. 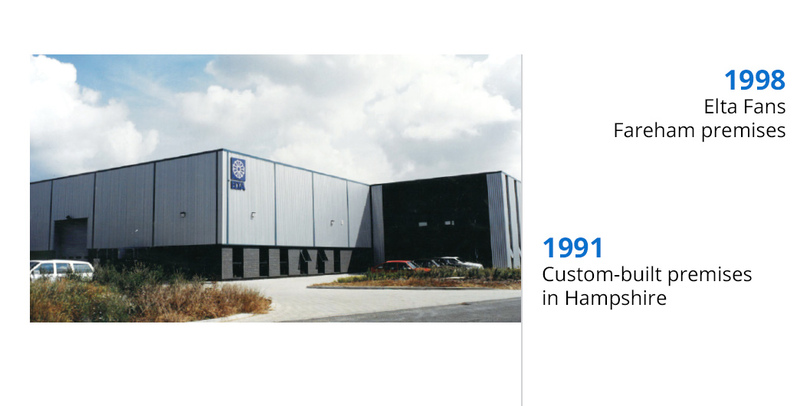 1994 The Fareham premises are further expanded to 2,000m². 1995 With a dedicated manufacturing plant in Cape Town, Elta Fans’ product range is launched in South Africa through fellow Elta Group company, Air Movement Supplies. 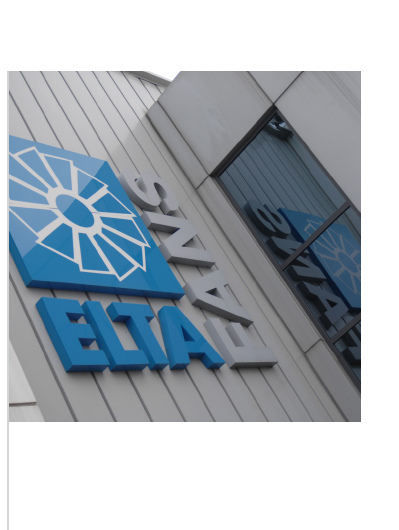 1996 The business becomes the principle operating company in the newly formed Elta Group Ltd.
1998 Elta Fans moves into a 4,000m², purpose-built facility alongside the existing Fareham building. 1999 Elta Fans launches its range of Marine Fans designed for small boats and leisure craft. 2000 The introduction of new blades, as well as 400mm and 550mm hub sizes, expands the impeller range to up to two metres in diameter. 2001 The addition of two new hub sizes (255mm and 350mm) further expands the scope of product selection. 2004 Impulse fans for car parks are introduced to the range. 2005 The Fareham facility achieves Elta Fans’ first EN 12101-3 Manufacturing Facilities for Smoke Ventilation accreditation. 2006 Elta Fans products begin to be manufactured and sold in Kuala Lumpur, Malaysia under the name ‘Eltafantech’. Elta Fans Building Services relocates into a new 5,000m² facility in Kingswinford, West Midlands, UK. 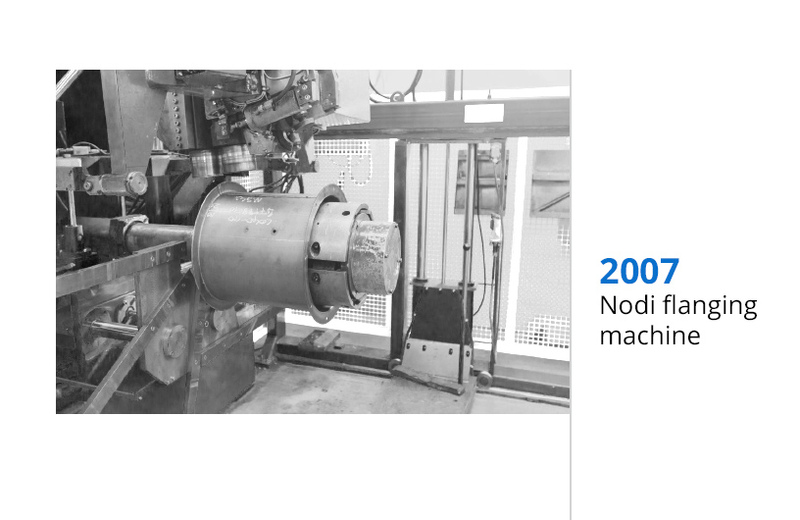 2007 Additional investment in Nodi flanging equipment in Fareham and Cape Town strengthens Elta Fans’ production capacity, ensuring consistently high quality and optimising manufacturing efficiency. 2010 Installation of a new, state-of-the-art Trumpf TruPunch 2020 punch machine in Fareham and a Nodi flanging machine in the Kuala Lumpur facility supports the need for larger and increasingly complex components to meet the bespoke requirements of OEM customers around the world. 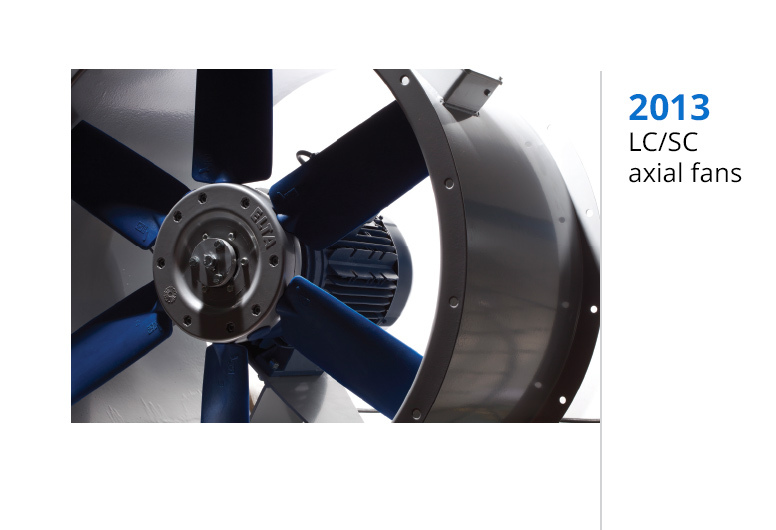 2013 To meet changing international legislation, the core axial-impeller is re-developed for increased efficiency. 2015 Installation of a 5 tonne, twin hoist crane to increase production capabilities of larger fans inline with customer and market requirements. brand is launched in Asia and Australasia to serve the regions’OEM customers, providing expert local-market knowledge.